Theme inspired by Debian&apos;s logo color scheme. First in MyUnix series. 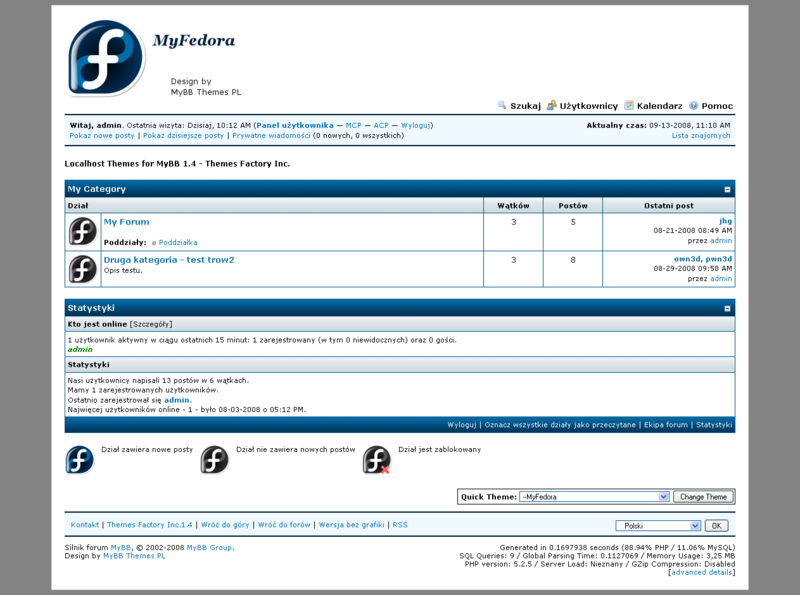 Dark blue theme, Fedora colors. Cucumber theme with SuSe logo. 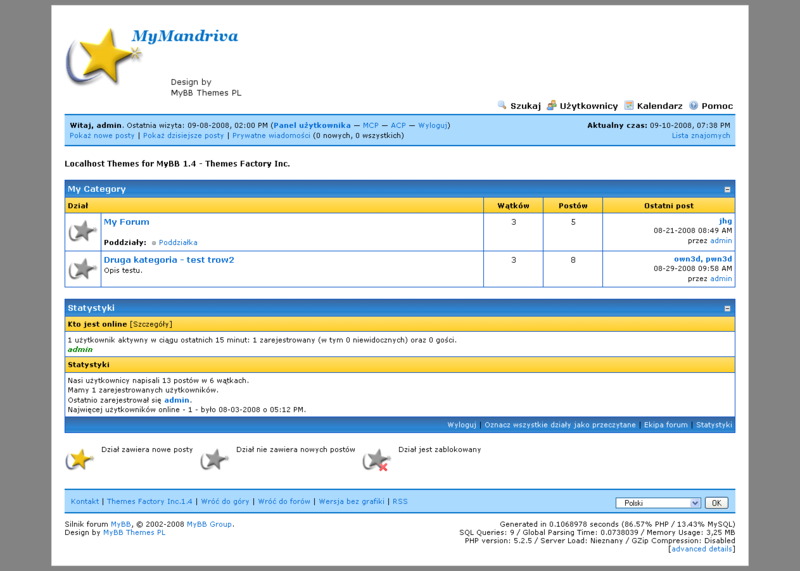 Simple orange ACP theme, modified version 0.2. 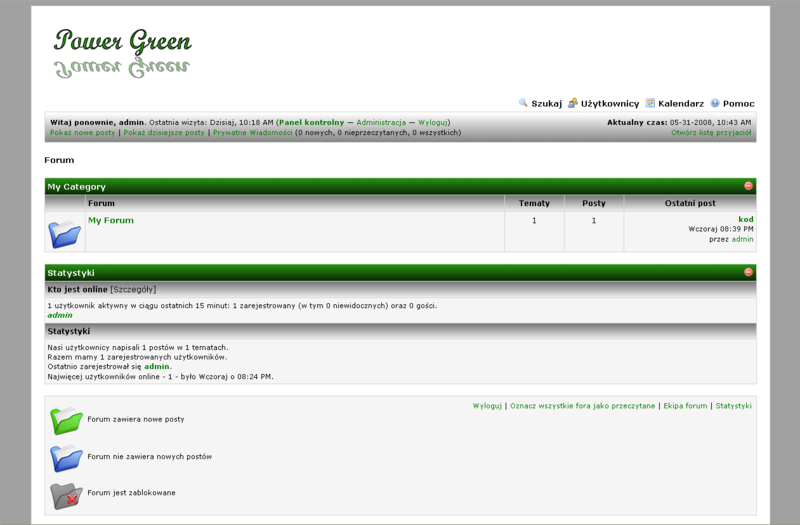 Power Green theme for MyBB 1.4 - first in Power Colors serie.